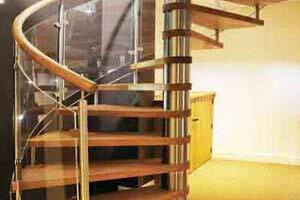 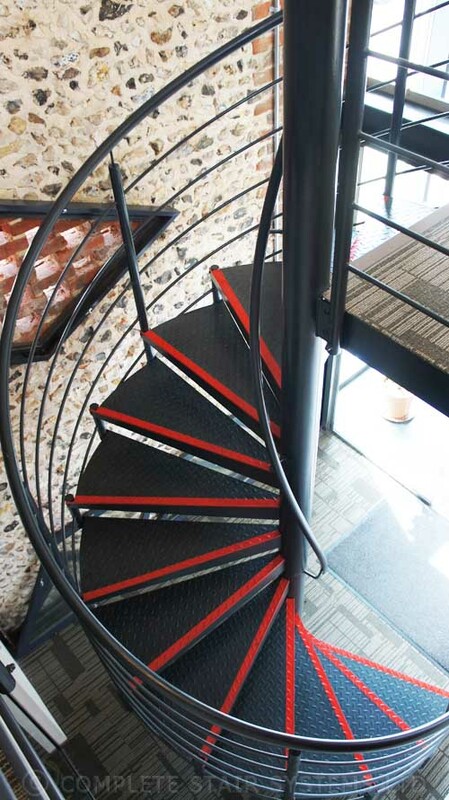 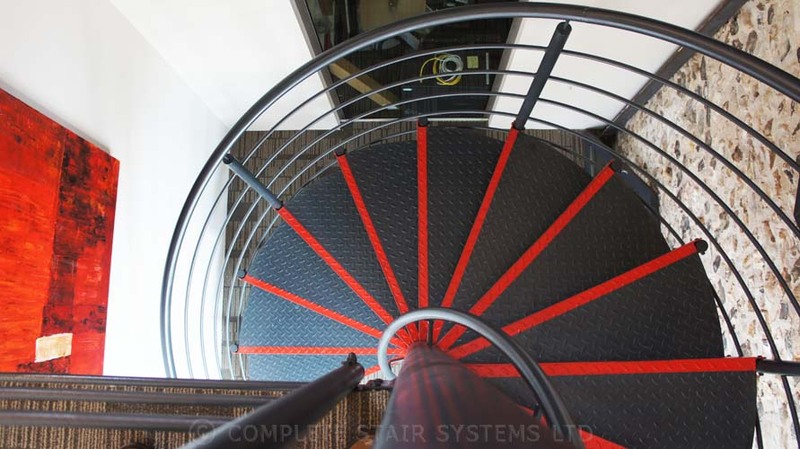 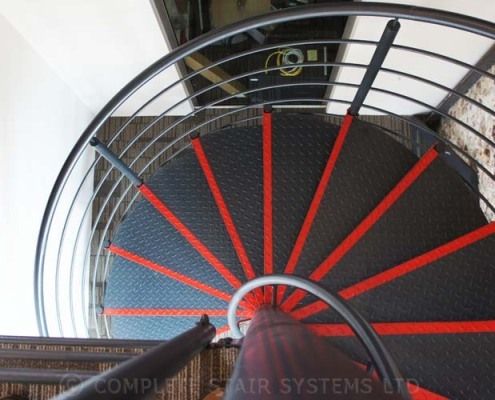 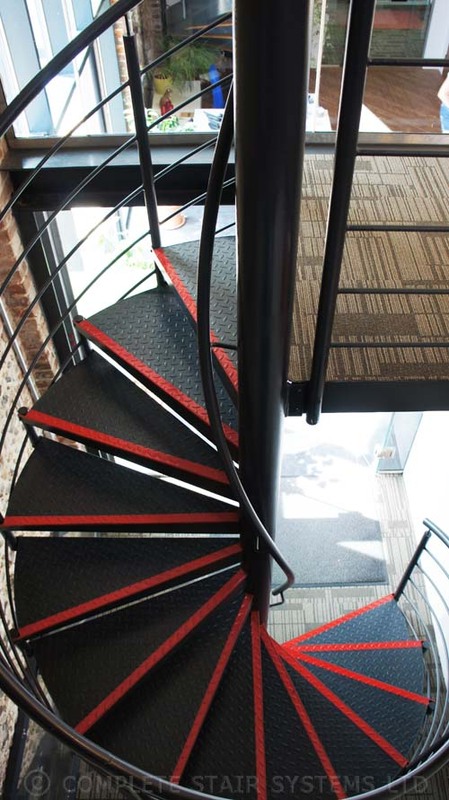 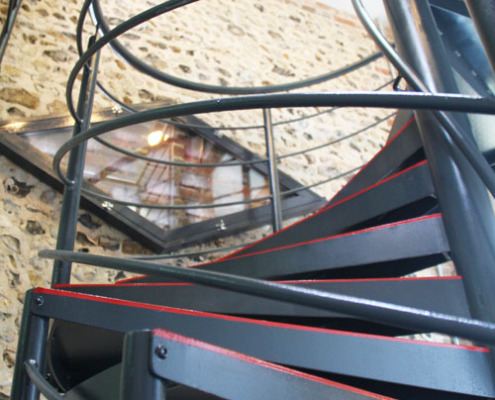 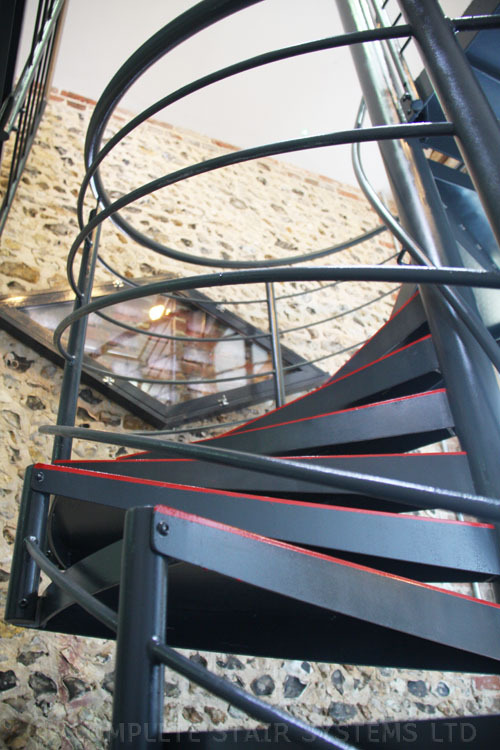 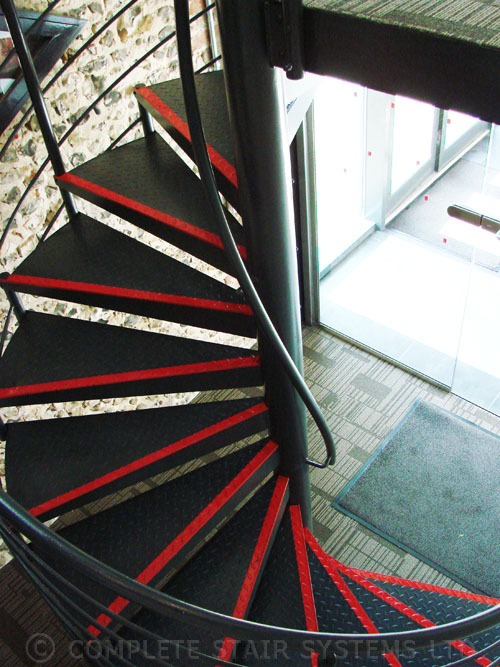 A bespoke commercial spiral staircase supplied to a client converting an old barn into offices. 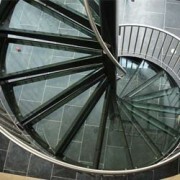 The spiral had to be in keeping with the industrial feel to the surroundings whilst being a feature. 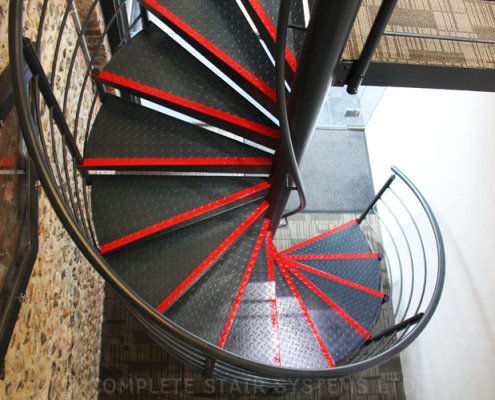 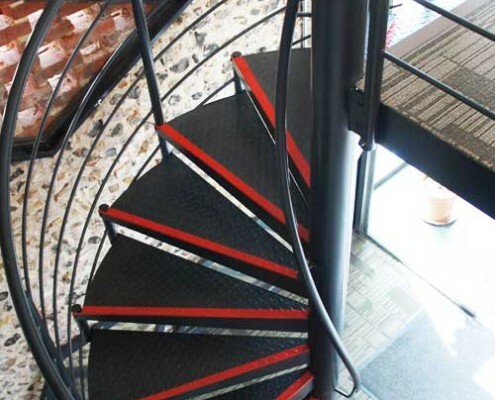 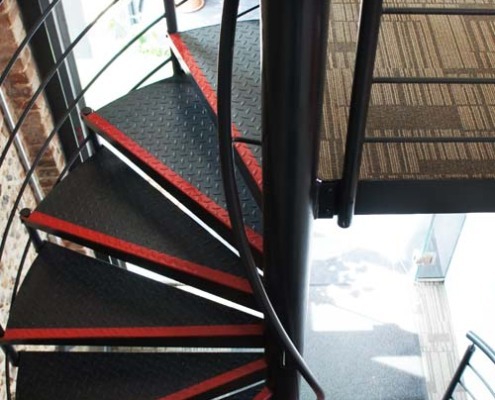 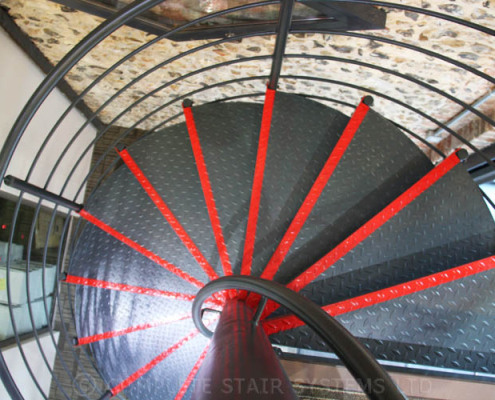 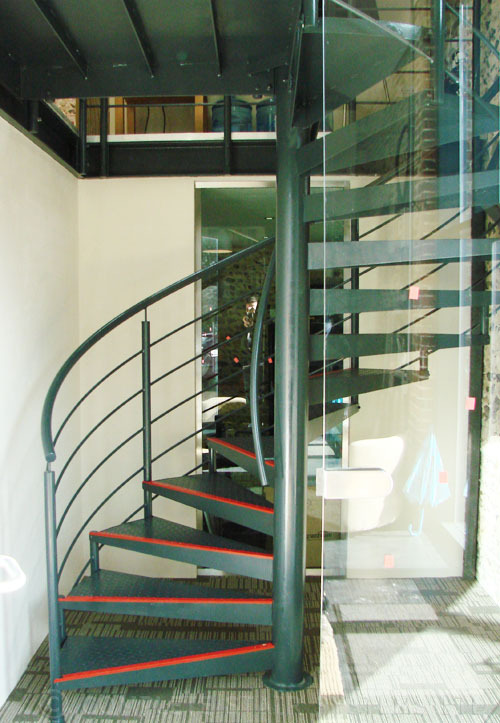 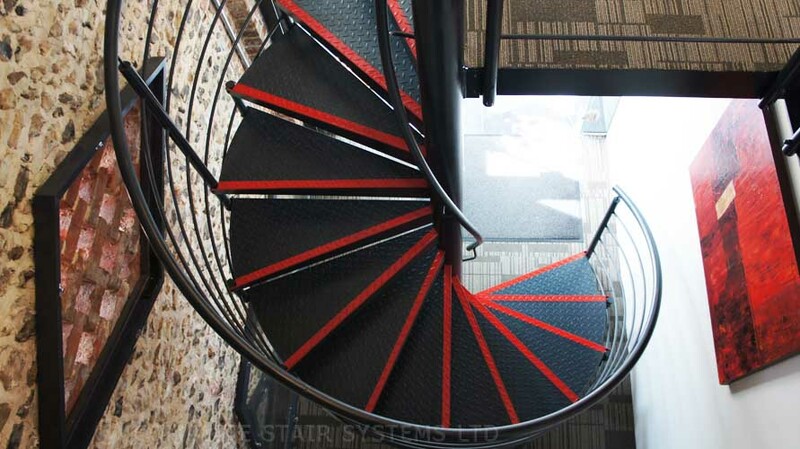 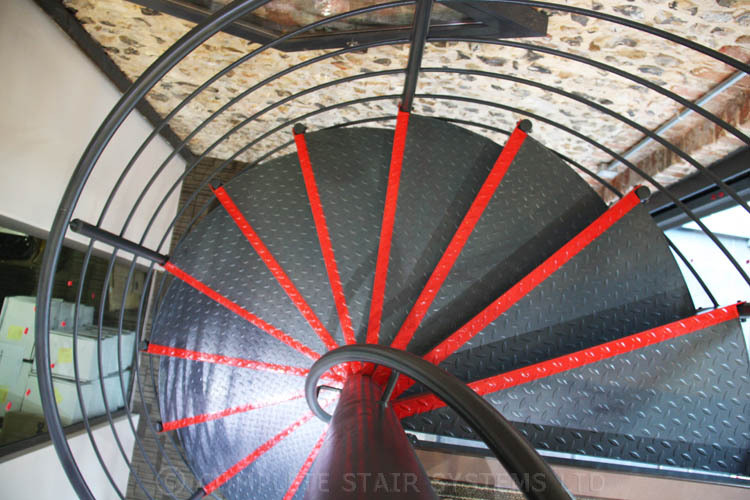 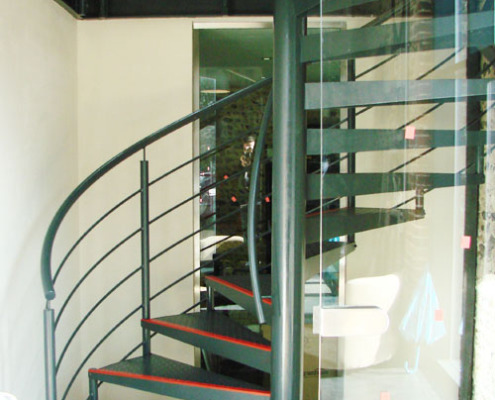 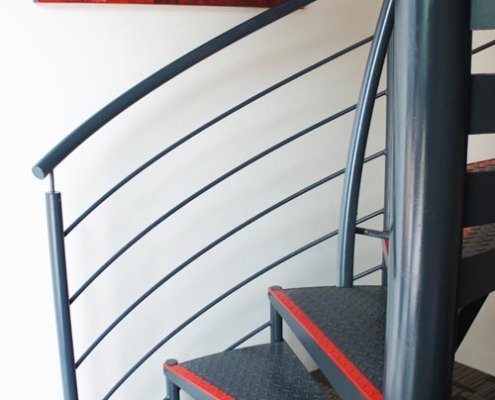 The spiral staircase was supplied with chequer plate steel treads and the balustrade was constructed with horizontal steel rails, topped with a steel handrail. 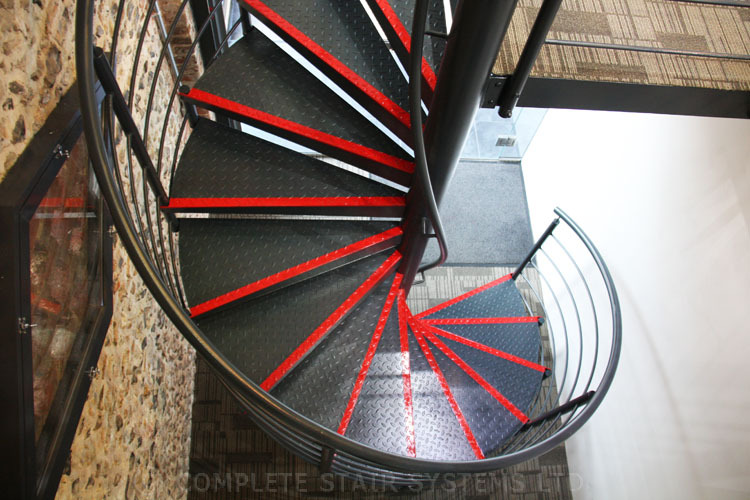 Being commercial, we included a handrail to the centre column and ensured the clear tread width was 800mm minimum. 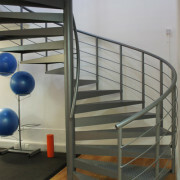 The steelwork was supplied primed for on site painting. 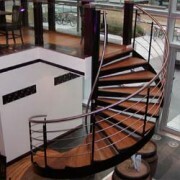 This was not only a cost saving but it removed the risk of any damage to the steelwork during assembly. 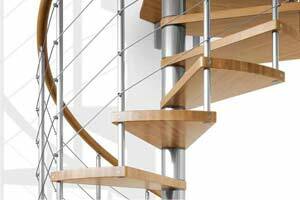 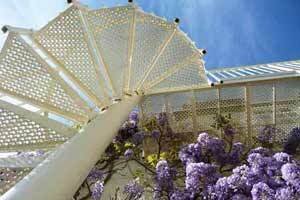 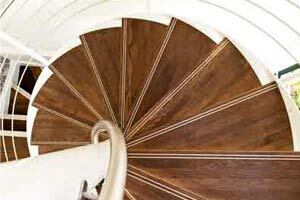 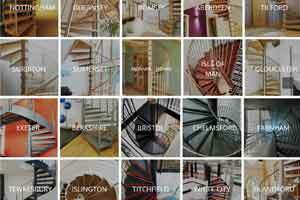 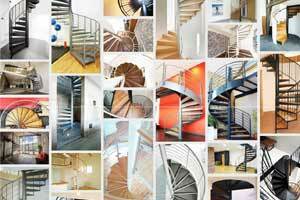 If you would like a price for your own ‘Spiral Staircase Titchfield, Hampshire’ then please fill out the form below. 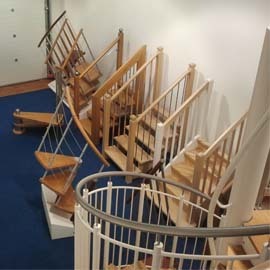 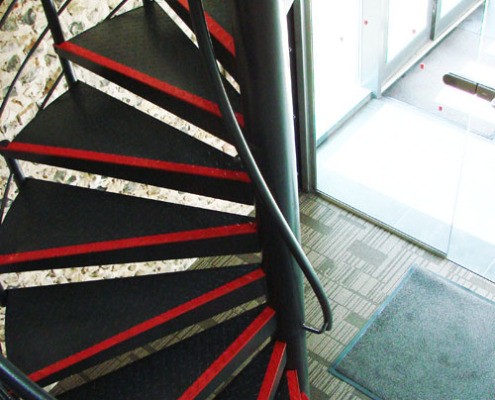 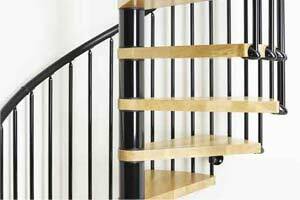 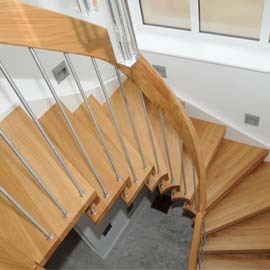 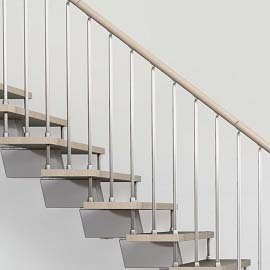 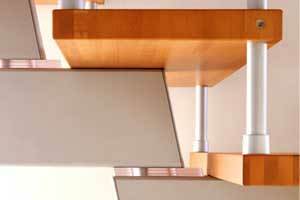 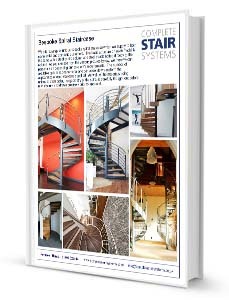 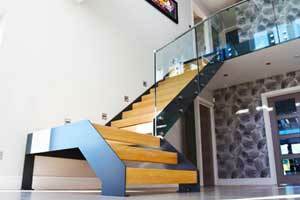 We supply this type of stair for both domestic and commercial customers. 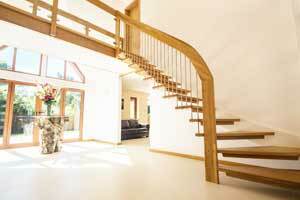 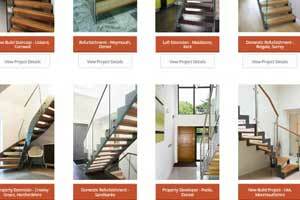 "Our client engaged us at an early stage of this barn conversion - which is always beneficial. 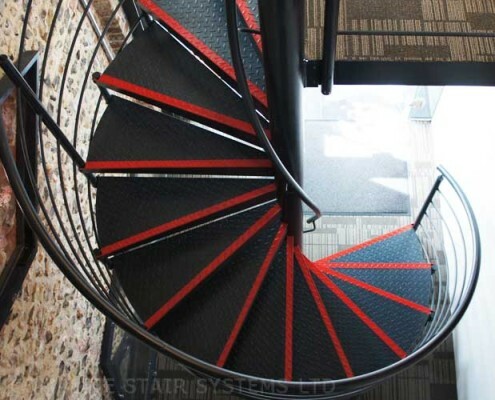 We were able to dictate the opening size in the floor required for the spiral and we established the spiral rotation early on. 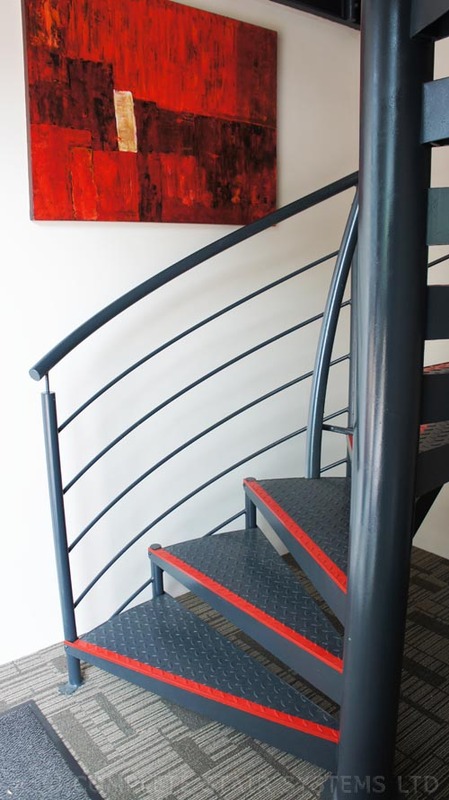 Having the spiral primed (instead of factory powder coated) for on site painting represented a great cost saving to our client"